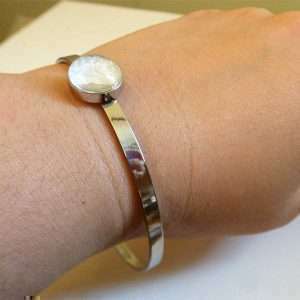 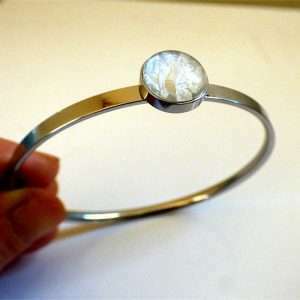 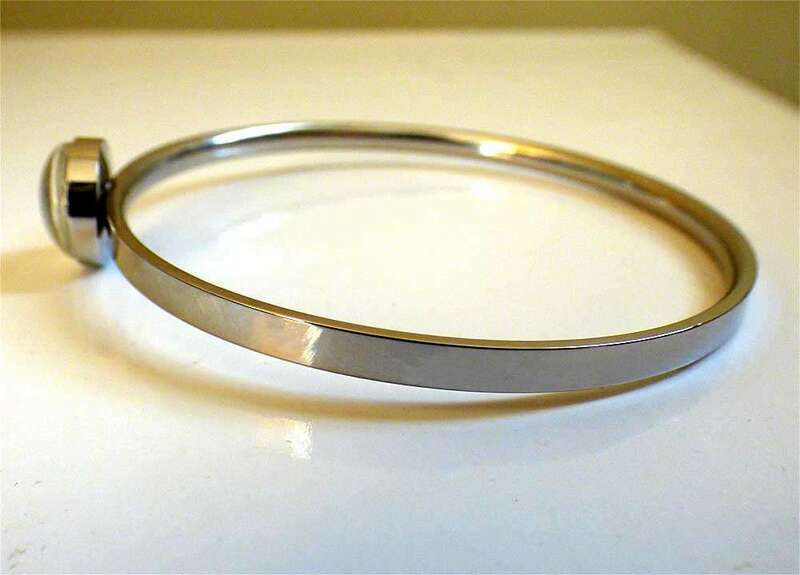 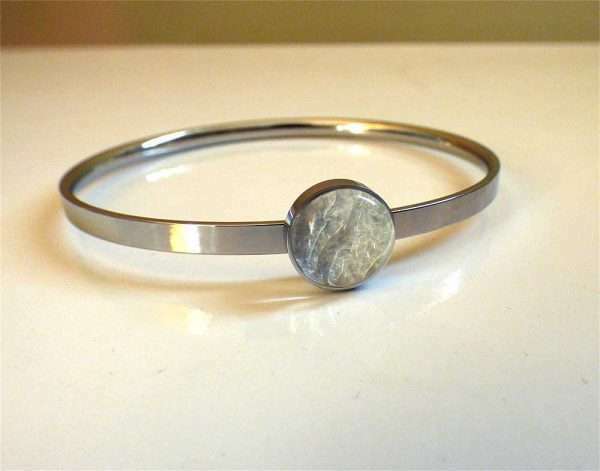 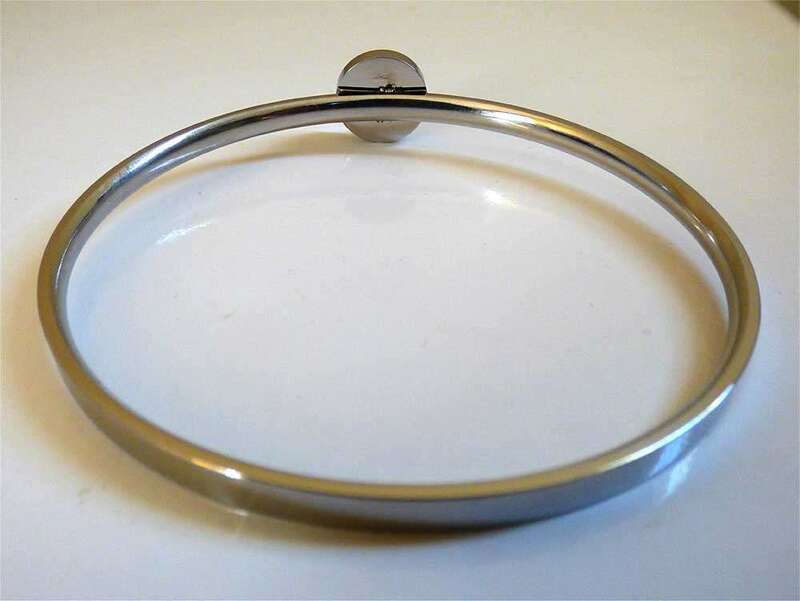 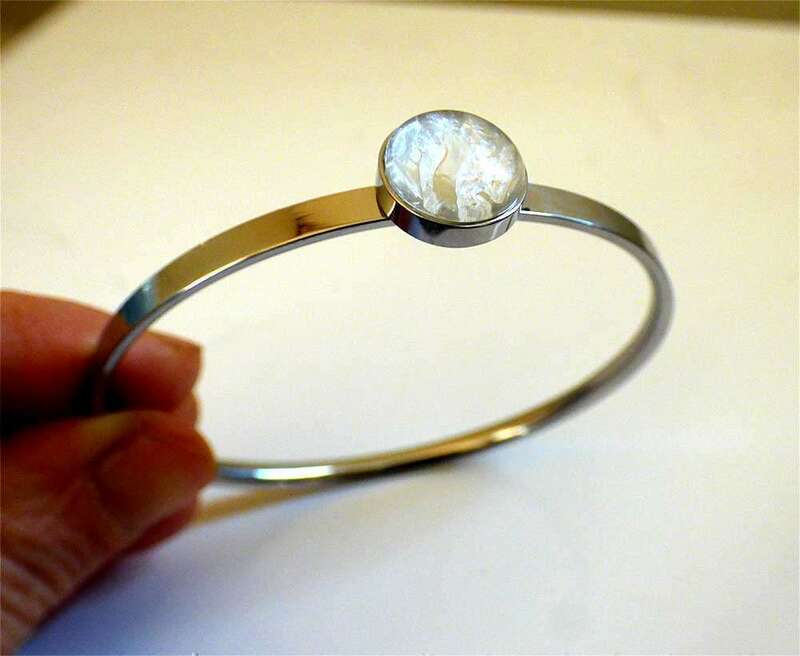 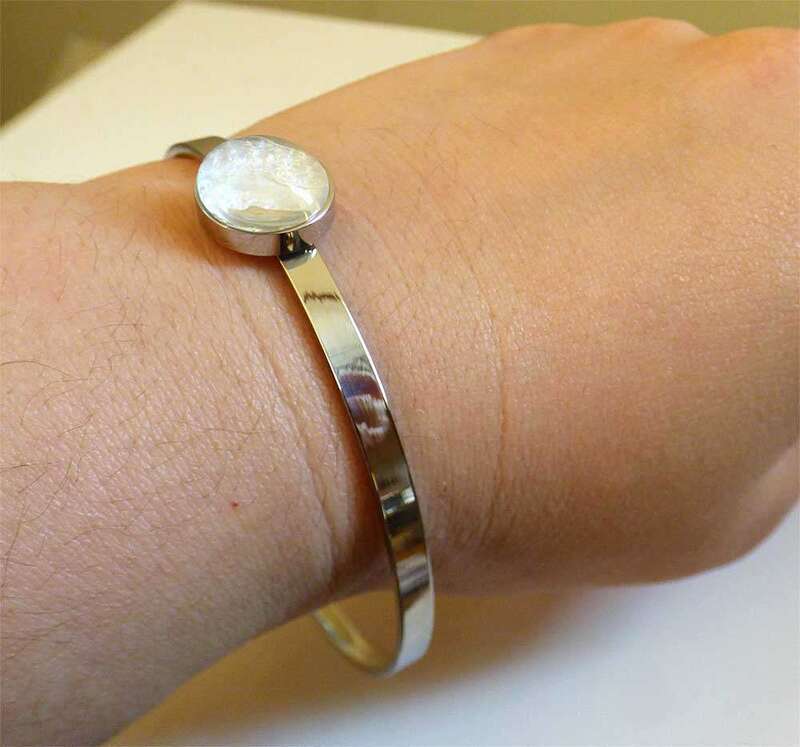 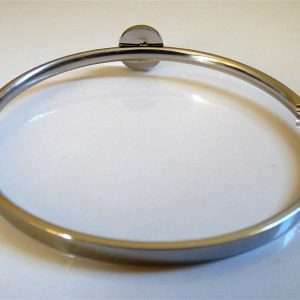 Sturdy but elegant, this breast milk bracelet bangle in silver (plain) stainless steel will sure to be a hit. 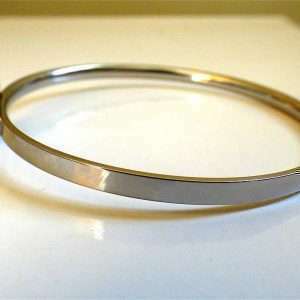 Stainless steel is a hard tough metal, difficult to scratch and bend, is hypoallergenic, and does not tarnish! 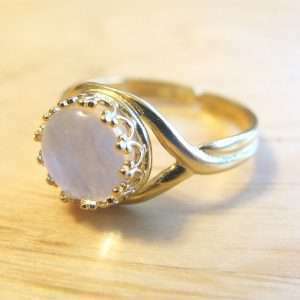 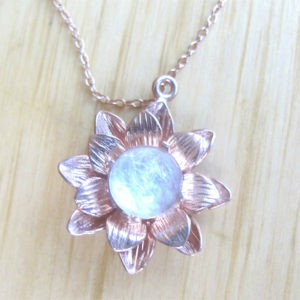 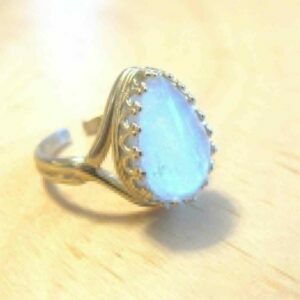 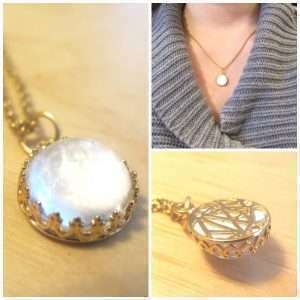 Also comes in rose gold and yellow gold.